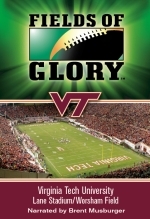 The 21st ranked and ACC Champion Virginia Tech Hokies defeated the 12th ranked Cincinnati Bearcats 20-7 to claim the 2009 FedEx Orange Bowl victory. Virginia Tech was led by freshman running back Darren Evens, who rushed for 153 yards and scored the game winning touchdown to earn game MVP honors. The Hokie defense also turned in an impressive performance, forcing four Bearcat interceptions. 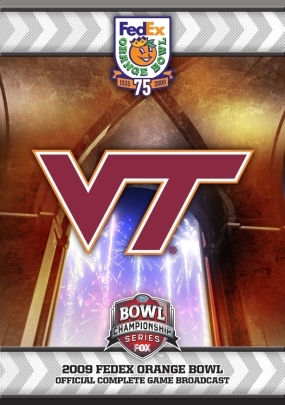 The Orange Bowl victory was Virginia Tech's 10th of the season, resulting in the fifth consecutive year that the Hokies have won at least 10 games. The Official FOX Sports/BCS FedEx Orange Bowl DVD includes the commercial-free game broadcast as well as special bonus features. 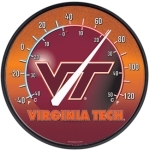 It is a great addition to any Hokie fan's collection. 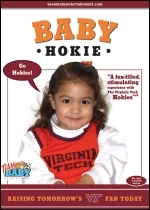 BABY HOKIE BIRD "Raising Tomorrow's VT Fan Today!"